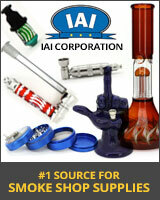 Check out our huge selection of discounted pipes: metal, onyx, glitter, anodized, glass and zeppelins. 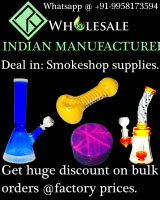 Low prices on parts, screens, incense burners, scales and novelties. All high quality brass and nickel parts made here in the USA. At Vaportronix our goal is to provide companies with the best smoking products possible to give their customers an even better smoking experience. With our patented technology and after 2 years in development we presented the world with our first product, the VQ. At Vaportronix, we never stop improving and innovating our products. eDab is a US-based company providing premium quality vaporizers for oils and concentrates. The eDab brand is known and loved by users across the country. Give your customers real value and products they love to use that will keep them coming back for more. PHD Organics was founded in Southern California by a group of friends who experienced first hand with loved ones the powerful benefits of CBD. 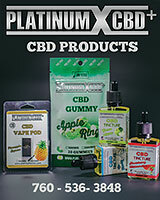 We offer a wide variety of CBD products including bath bombs, oils and tinctures, and bath dust. Make us your #1 wholesale choice for CBD products! Our mission at GlobalCannabinoids.io is simple: Deliver the highest quality industrial hemp-derived phytocannabinoids as quickly as possible to our customers. In order to accomplish this, we have partnered with the BEST of the BEST in each vertical within our industry. We are NOT brokers, nor do we work with them. 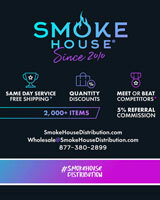 Distributor of authentic JUUL/Myle/KWIT Starter & Basic Kits, JUUL/Myle Pods [4-Pack| 3%, 5%], JUUL Compatible Pods [4-Pack| Plus Pods Brand], STIG Devices, ELiquids [BLVK, KWIT, Naked 100, Reds by 7 Daze], Smoking/Vaping Accessories, RAW [Rolling Papers/Cones/Filter Tips], Lighters, JUUL Wraps, Hemp Wraps, and many more. In business for 4+ years! 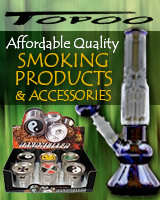 Smoking accessories, lighters, cigarette cases, flasks, business card holders, money clips, novelties, zippo, gift articles. Call us at (773) 930-3159.